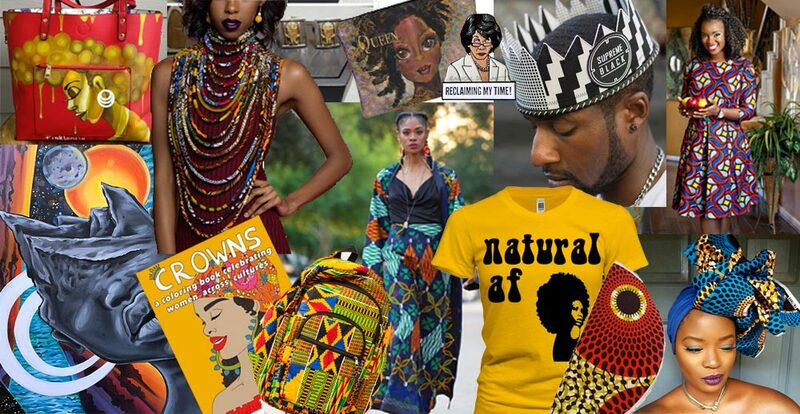 We want to help you live #FORTHECULTURE this Black History month with our curated list of 25 Houston based black owned businesses that include everything from jewelry, accessories and clothing to art for your home. Let’s support and show love for our community and culture by supporting black business owners and displaying our black pride! Not to worry if you don’t live in Houston, most shops are also available online! 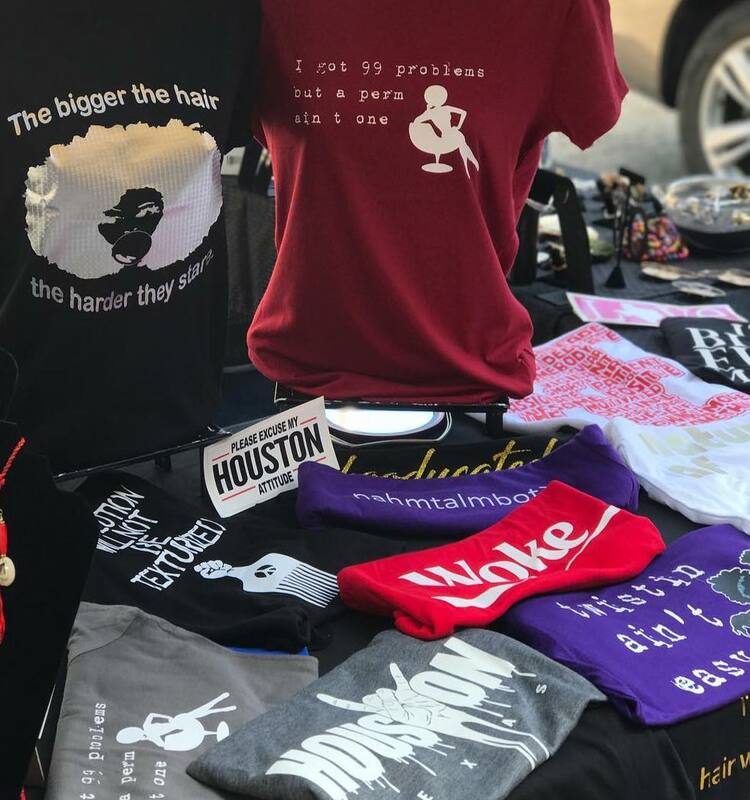 Pink LoMein is a Houston Artist that uses more than a canvas to show off her work, from handbags to Phone cases and sip & paint classes too! 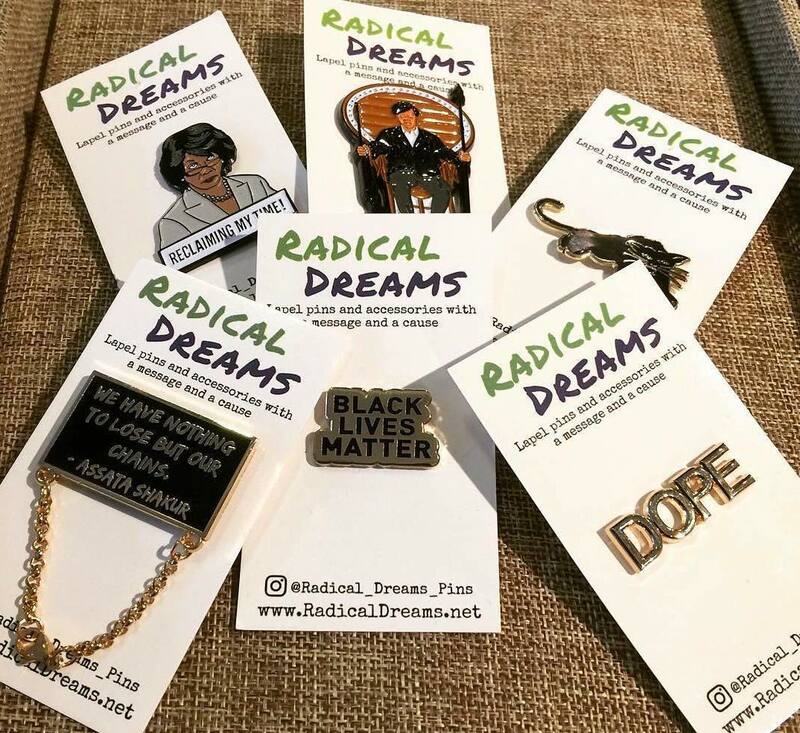 Radical Dream products are based on social justice statements, positive messages, and prominent figures in Black culture. 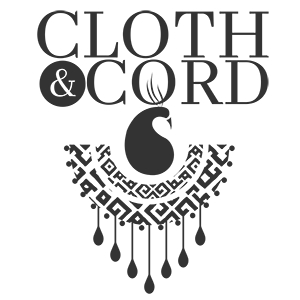 Check out Cloth & Cord for amazing jewelry and accessories! These pieces are perfect for making a statement and amplify any outfit! 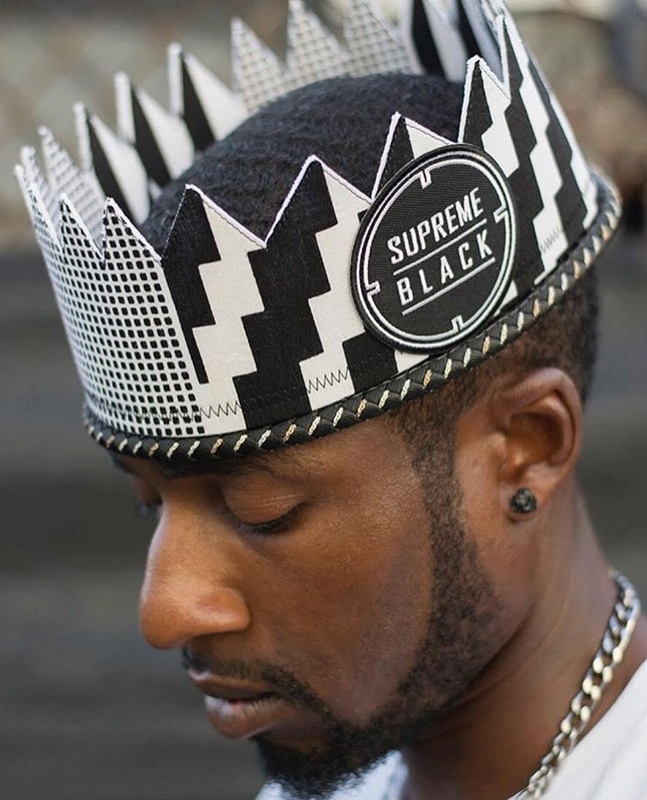 Kalachoe Crown’s handmade Crowns for men and women are the perfect accessory for the Kings and Queens that you rightfully are. Doesn’t have to be a special event rock your crown any time and any place! 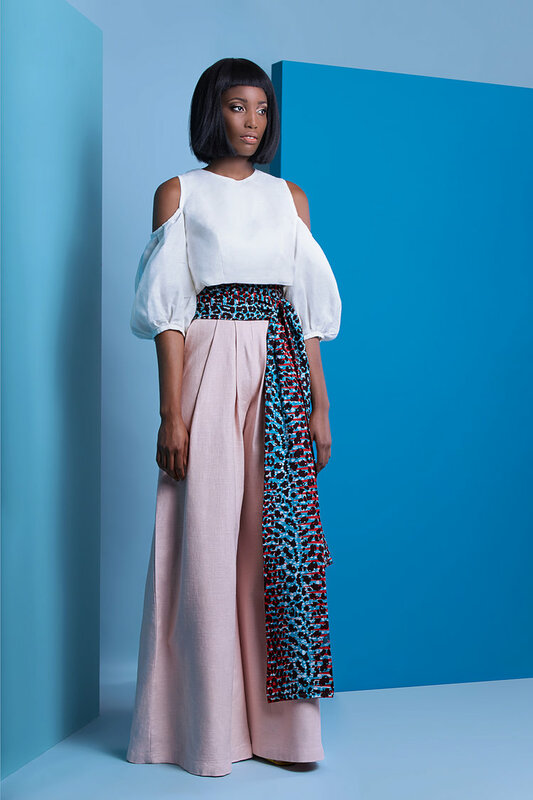 Attolle Clothiers are contemporary ready-to-wear pieces with select bespoke outfits crafted primarily from printed cotton wax popularly known as African Wax Print or Ankara Wax Print. 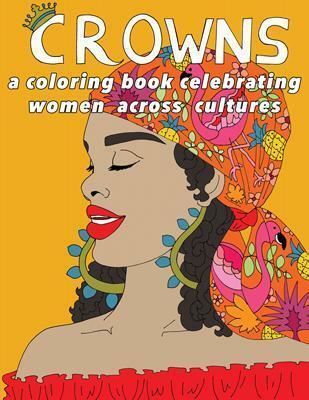 Crowns a coloring book celebrating women across cultures, its relaxing and fun and its a good way to end your day or take your breaks especially in those “woosah” moments. 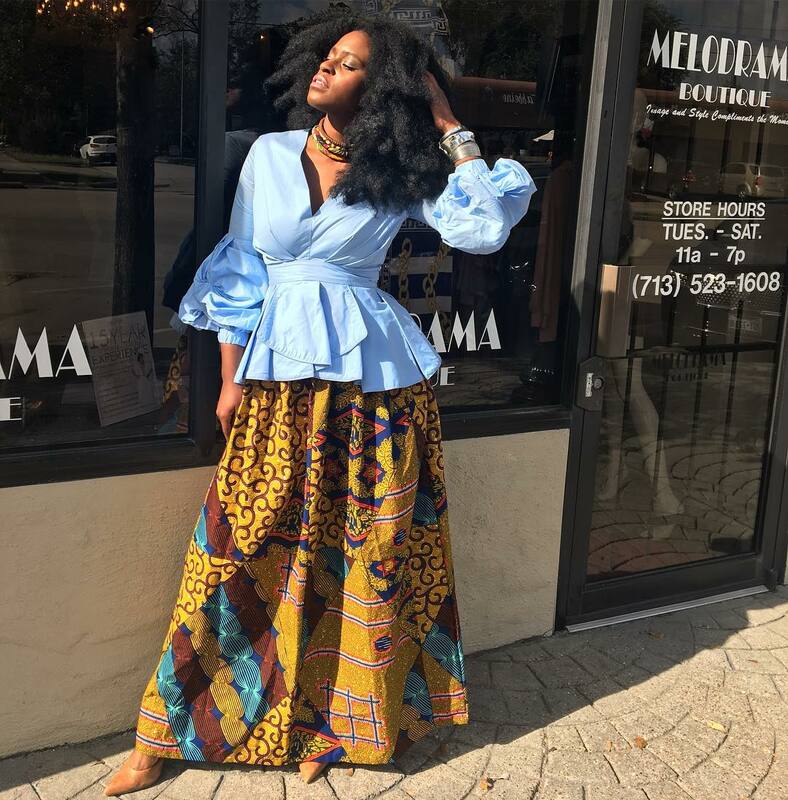 Melodrama is more than a women’s fashion boutique, it’s “sisterhood,” a weekend social extravaganza, and a place for emerging businesses to promote their services. Melodrama boutique is a lifestyle. Need a top that matches your mood? 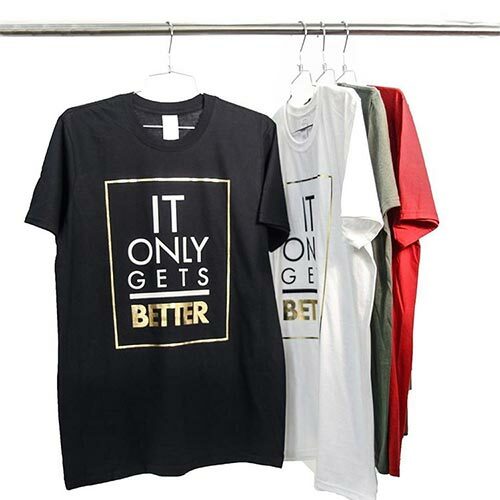 Uppity style has some really cool tee’s that Black Women will love! You can wear them with your jeans, throw a blazer over it and jazz it up with some of their artisan jewelry. Be vibrant, be beautiful, be you. Express yourself through the use of color and print. Every woman has a uniqueness to her. 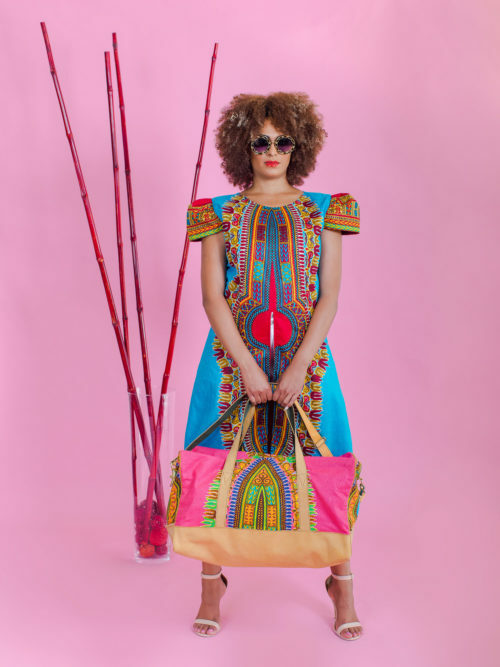 Tribe of Dumo’s collection empowers women to speak up and speak out! Does your outfit need an assist? Try pairing it with one of Kisa Kisa’s handbags and captivate the crowd! 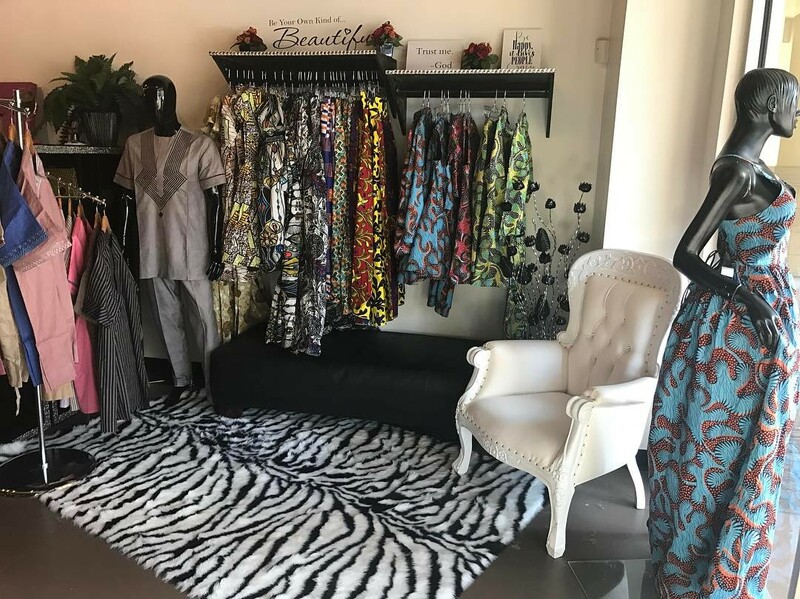 By Anike incorporates more than just jewelry and turbans, it will encompass fashion styling, manicures, nail art, hair accessories and more. 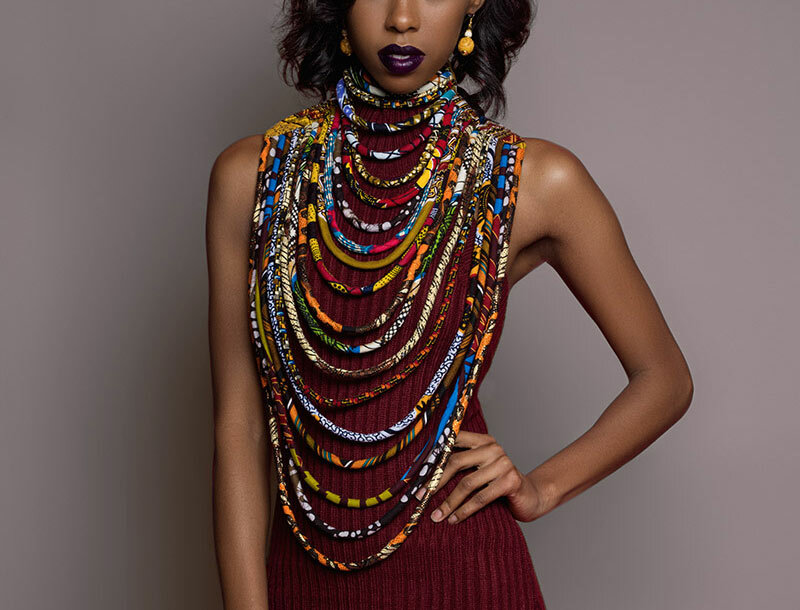 Add some character to your wardrobe with haute jewelry and accessories from Xpozher boutique! 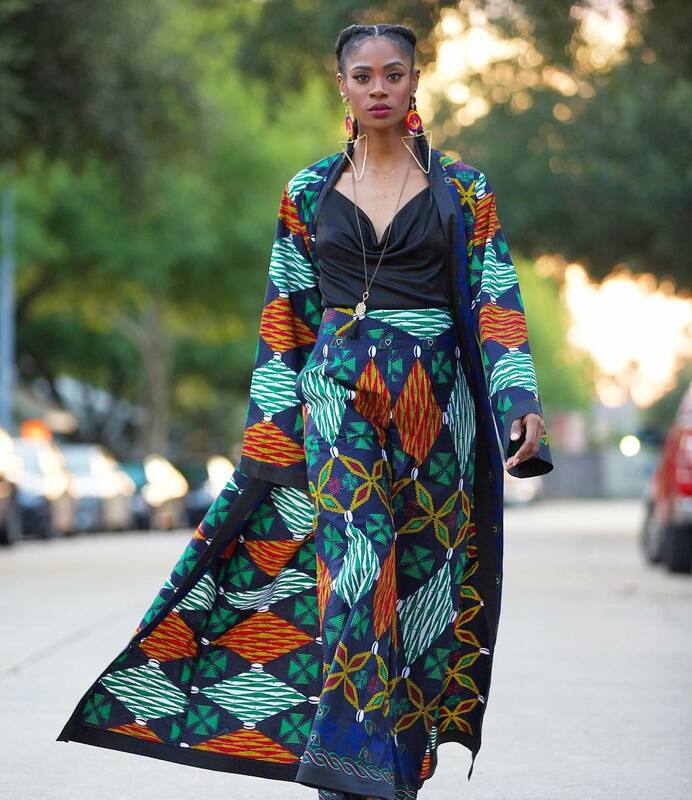 The mission of Unique African Fashion is to expose people of all cultures to African fashion. They sell both men and women’s Apparel. Brionya James is an upcoming artist who creates Art that tells a story and is correlated with her own poetry. 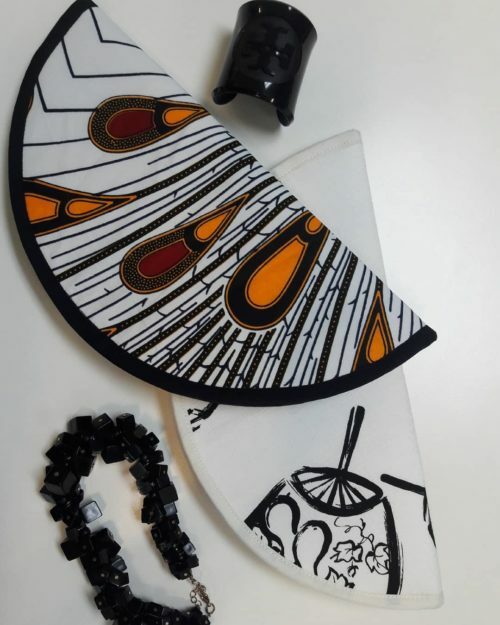 Her pieces are perfect to set the tone in your new home or office. The unique fusion of ancient symbols and current trends are sure to bring healing to all wearers of Nefertari Palace jewelry. Each handcrafted piece combines one-of-a-kind beauty with powerful holistic properties! Sugar Lump Creations has all of your needs from handcrafted tops and tote bags to hand painted wine glasses! MikMont has creative witty and unique paper goods to increase thoughtfulness and literacy for the culture of course. 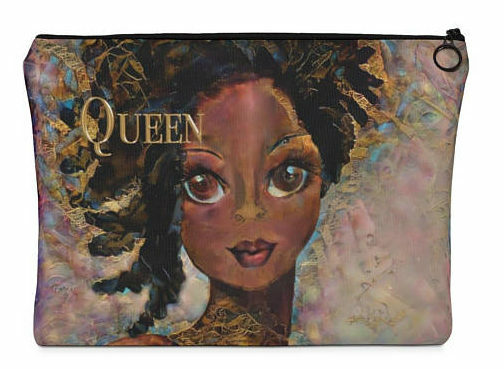 Great for office Decor or even perfect gifts for your dorm room. The gallery features beautiful and unique art and artifacts that include original paintings, hand carved wooden statues, bronze sculptures, tribal masks and hats, brightly colored textiles, select vintage accent furniture and more, all from sub-Saharan Africa. What better way to represent your roots than on your back! 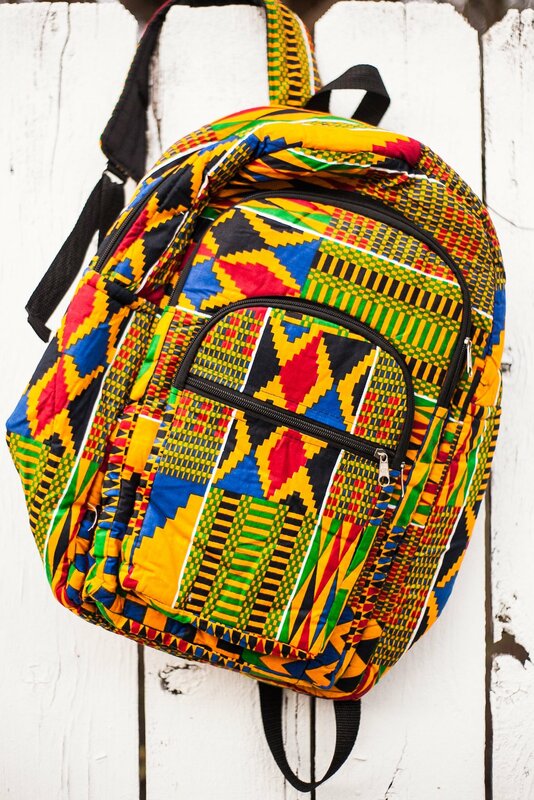 Check out these super dope back packs that’ll definitely grab everyones attention. Beautiful Handcrafted Jewelry to add intricate detail or to help make you stand out K Jones Jewelry is the way to go! In need of a High Fashion look? Then you’ll Love Onyii & Co. From the runway and for the people! Exotic Time Piece is a unique online men’s watch boutique that caters to the everyday Male swag. We believe that a watch shouldn’t just tell time it should show your sense of style! Combining the passion for streetwear with the desire to be an entrepreneur, SET SAIL APPAREL was established in Houston as a streetwear brand based on positive potential, transformed into creative action. 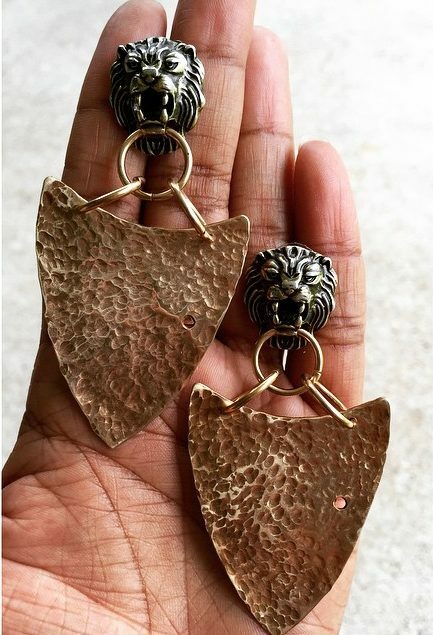 We want to help you LIVE #FORTHECULTURE this Black History month with our curated list of 24 Houston based black owned businesses that include everything from jewelry and accessories to art for your home. 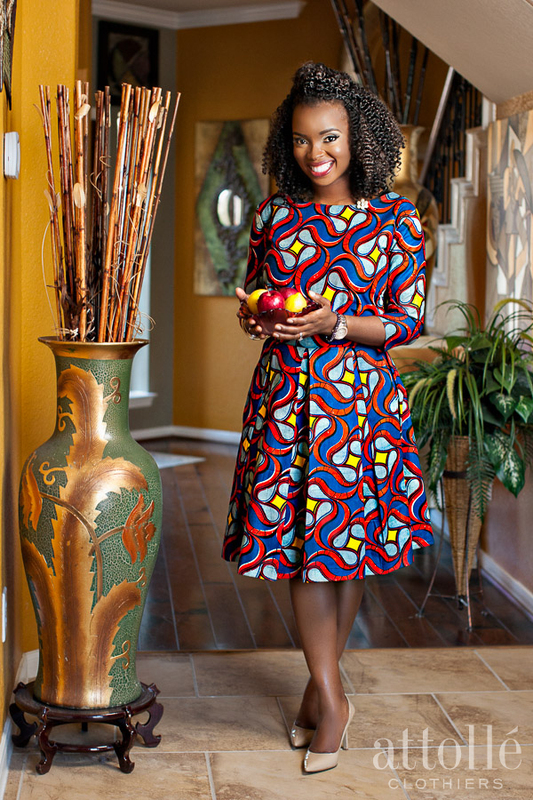 This entry was posted in Gifts & Occasions, Media, Press Releases, Style and tagged 25 Afrocentric Jewelry and Clothing Designers in Houston, 25 black Artists in Houston, 25 Ways to Wear and Celebrate your Black Pride and Culture, African accessories houston, African clothing houston, african men clothing houston, African Print Clothing in Houston, black culture houston, black designers houston, black girl coloring book, black history month, black history month 2018, black history month apparel houston, black history month shopping houston, black history month t-shirts, black history tees, black owned business directory, black owned houston boutiques, black owned online stores, black owned physical stores Houston, black owned stores houston, black pride apparel houston, Black Pride Lapel Pins, buy black houston, fortheculture, hand painted bag, houston black history month, houston small business houston, Local Ankara Clothing in Houston, stay woke, stay woke houston, support small business houston, Top 25 Black Creatives in Houston, unapologetically black, we do it for the culture, woke, woke houston.